The pool next to the Long Center is still and calm before sunrise. 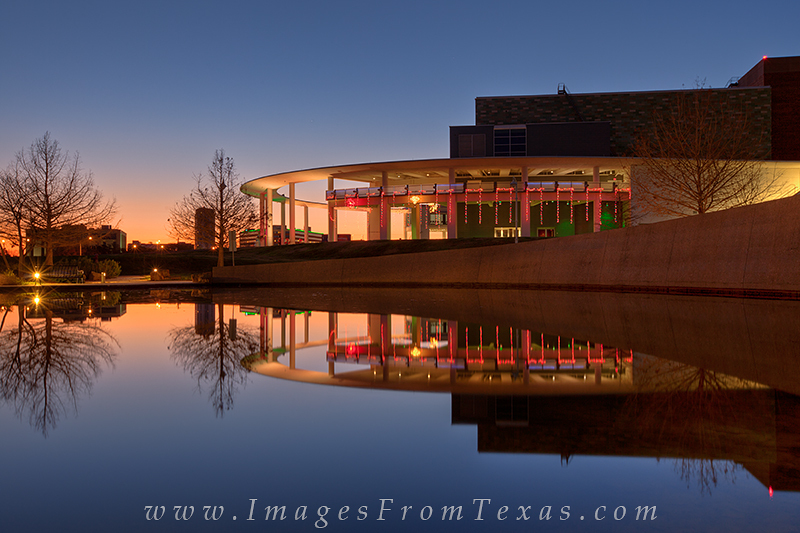 The Long Center is reflected in the calm waters in this Austin,Texas Image. Photo © copyright by Rob Greebon.